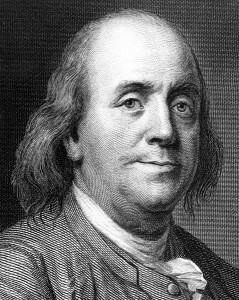 While most US school kids know that Franklin was America’s first diplomat and was one the our founding fathers as well as a famous inventor, few people know that he was also America’s first self-made millionaire. It’s no accident that his image is on the popular the hundred dollar bill. While Franklin’s quote is not as hip or cool sounding like other modern day buzzwords or internet marketing phrases, it still rings true. And it is great way to remind yourself about the importance of keeping your business competitive and profitable so it can “keep you” and your family. I believe one of the best ways to “keep your business” profitable is to regularly market and promote it using your company website or blog. But website promoting is seen by many small business owners as an after-thought to the actual process of operating their business – not a critical element to keep it going strong. Basically I see too many folks are so “busy” running their businesses that they don’t set aside enough time (or funds) to properly market and promote their websites. Poor Website Marketing Means No More New Clients? Good website marketing means we can attract all the new clients or customers we need when we want them. Without a steady stream of leads and sales, we’re always in a feast or famine mode – struggling to get more work in then struggling to get the work done. …Followed by even more panic; followed by working harder, followed by a lot stress and burnout. Business website failure comes from a thousand tiny cuts? A good system of proven website marketing strategies can stop the blood lost. Yet too many business folks believe that website promoting is too expensive or technical for they them to do it on their own. But if you don’t have a website promotion process in place – to constantly put the word out about your products or services, your company will quickly fade from the minds your customers. This is because the average American is bombarded with over 500 marketing or advertising messages – per day! Yes, that’s over 31 messages an hour, if you count 8 hours for people being asleep. I know I just said that people are being overwhelmed with too messages – so many in fact that they have successfully pressured the government to ban certain advertising message formats, such as televised cigarette ads, adult-entertainment ads during family hours, anti-email laws and dumping telemarketing all together. – so how can you break away from the crowd and make your products or services stand out? Tip# 1 – Talk about Consumer Pains. Use your website to discuss your customer’s painful problems. As human beings we are automatically hardwired to avoid painful situations and seek out pain-relieving products and advice any where we can find it! Think back on the last time you had a punishing headache and you had run out of your favorite pain-relieving medicine. You started off searching your house or office top to bottom to see if you had overlooked any. Then you started asking others if they had any to spare, etc. Unfortunately, the only thing available was plain, old aspirin – the un-coated kind which sometimes gives you an upset tummy. No, thanks, you think. However, as the day wears on things get worse. At this point everything starts to narrow down to you getting rid of the headache – you want to stop the pain and get help – fast! So depending on the level of pain you were experiencing and other factors, you may have broken down and taken the “risk” of getting a mild stomach rumble from the aspirin versus continuing on suffering with a blinding headache. This is how prospective clients or customers think about you and your business. They have had “upset stomachs” from dealing with dishonest or incompetent people before! You can “explain the pain” and communicate with people about on your website. If you demonstrate how your products or services can help solve their problems, and relieve their pains – better or faster than anyone else, your message will cut through the competitive clutter very quickly. Tip# 2 – Turn your website into a marketing “hub” for your company. Make your website into a portal for your business. Store all your marketing materials, product or service information on it. Your website should become the destination for all your marketing or advertising efforts. Use your website or blog like a “emergency help” center for solving customer problems. By being available 24/7 your website can act as a customer service center by having all the answers to those frequently asked questions your customers want to know. Online videos can “show” customers how to solve minor issues with a product or service without them having to call or visit your office or store. Make your website the final destination for all your online or real-world marketing efforts. Running a newspaper ad, a television commercial or a radio spot? Always include your website address in it to make sure people have some place to visit after your store or office is closed. Tip# 3 – Understand the impact your website has on your business. The other day, I was visiting a client’s art gallery, where she was directing a group of visiting tourists to one of her artist’s showrooms. She didn’t carry a certain item they were interested in buying but she knew the artist had them in stock at their studio. I watched one of the group’s husband (apparently the head navigator) patiently search out and download driving directions to the studio on his smart phone. When I asked if he needed a hard copy map, he refused saying that they (the two couples were on a joint 3-day weekend) had traveled all the way to Western North Carolina using just his cell phone’s web connection and his contact app inside his phone. The man said, he would always check out a business’s website before they would drive out to browse their store, due to the high price of gas and the couple’s limited time-frame. This “shopping by smartphone” drove it home for me. Websites are not just “nice-to-have’ items for small companies anymore, but vital promotional tools that bring people into your local store or have them calling your office. By 2013, the experts estimate that there will be 1 billion mobile device users online. That is half of all 1.97 billion internet users and that’s more people looking for local products and services than there are people on Facebook or Twitter. I realized then that no matter what type of business you might have, a fully functioning website that is clearly visible online via mobile devices such as smartphones, iPads or networks is going to the break-even point for many businesses. So there you have it – 3 ways to keep your business going strong with online marketing. If you found this article helpful and you are serious about promoting your business online then I invite you to download and read this free ebook on boosting your sales.